How to get a Graph conference table? 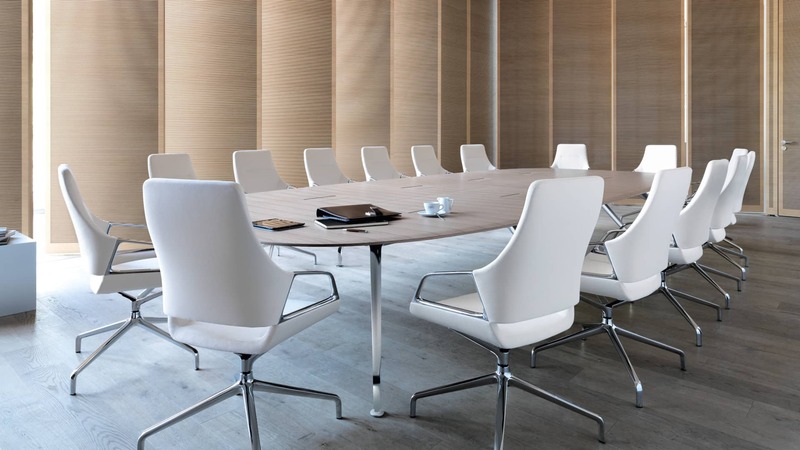 The MDF plywood panels for the Graph conference table are available coated in white or black, or in various genuine-wood veneers. Using a three-dimensional pressing method (vacuummembrane press) the veneer is adhered at the top and bottom over the curved edges to the wooden border. A special natural-wood varnish is superb at bringing out the best in the veneers. The frame surfaces are bright chromium plated, chromium plated with a matt polished finish, or optionally powder coated in black or white.